The staff at ALLCHOICE Insurance is very professional, efficient, and friendly. Not only are they great at pricing, but they offer a personalized touch to the services. Prices are extremely competitive, and the office is beautiful. I would recommend Allchoice Insurance to others! My name is Andy and I live in Winston-Salem, NC. I have been an ALLCHOICE customer for over 4 years. I have home, car and life policies with them. Without fail, whenever I need to add, change or merely have a question about my policies, they have been extremely responsive and helpful. I would recommend ALLCHOICE to anyone looking for insurance in the Carolinas. Thanks for the great service. We appreciate the fairness that allchoice offers and the friendly office workers. Our agent Jack Wingate has been great to work with. Always there for us. Thanks again. Best insurance agency in the Triad! Jack and his employees are awesome! Jack has a genuine concern for the best interests of his clients! He has always gone over and above the level of service you would expect from an agent. Thanks! Getting insurance through ALLCHOICE was the best experience I've had with an insurance company. AJ was very helpful and made the whole process very easy for me. He was very communicative throughout the whole process while making sure I got the best coverage that suited my needs, and he ended up saving me over $300/year for my home and auto!  I would highly recommend ALLCHOICE for all your insurance needs! This company is very professional and patient. They took care of everything and I had very little work to do on my end and I thank them for that! Aj was great. Very helpful and got everything done fast. I will definitely recommend him and all choice to my friends and family. Very good experience. I live in Lewisville, NC and have been an ALLCHOICE customer for over 9 years. My husband and I trust ALLCHOICE with all of our home, auto and life insurance needs and we could not be happier. If we ever have a question about our current policies, changing our policies, or a claim, Jack Wingate has our answer right away! I appreciate that with the competitive rates we receive from ALLCHOICE, we also get superior customer service!! Thank you ALLCHOICE Insurance!! Allchoice has provided property insurance for our 25+ rental properties for many years (8 or 9) and we have been very happy customers. Jack is great to work with and always quick to respond when we need assistance. I would definitely recommend Allchoice to anyone in the market for insurance. I am a first time Auto Insurance buyer. I was very unsure about where to start & what exactly I needed. Jack and Trish were just the right people to help me navigate the waters in the world of insurance. They explained exactly what I was purchasing and why it was important. I can't recommend them enough! Jack Wingate is the best insurance agent I have ever had the pleasure of doing business with. Because of his quick and professional manner of dealing with a problem I was having with a business insurance policy, I immediately turned to him and ALLCHOICE when I needed to take care of my family. I am so thankful to find and insurance agent who is knowledgeable in his business and personable with his clients. I may not be his #1 client, but his service sure makes me feel like I am! Alan Brower Is my insurnace agent! He was able to provide me the lowest and best insurance after speaking to multiple people. ALLCHOICE is great and the customer service is also. When I had damage to my car, Allchoice responded quickly to take care of the situation. I'm new to Greensboro, and when i needed to switch my car insurance to North Carolina I had no idea where to start. Allchoices' website attracted me immediately and they gave me the lowest quote of any I had searched so the choice wasn't hard. The service is also great, Jack and Trish are always helpful and respond to questions very quickly. I have been an ALLCHOICE customer for 9 years. They provide my home, auto and life insurance. The customer service is outstanding! I couldn't be happier having ALLCHOICE as my insurance agent. I live in Walnut Cove, North Carolina. I have been with ALLCHOICE for 9 years. I have all my insurance needs through ALLCHOICE - home, car and life insurance. The service you receive is A+ all the time. ALLCHOICE takes the insurance worries out of my busy life. Thanks ALLCHOICE! I'm in Summerfield, NC, and have had an auto insurance policy and a home insurance policy with Allchoice for over 10 years. They are extremely hard working and very knowledgable of the insurance industry! Allchoice is always highly efficient, taking care of any changes I request immediately! Great people and great business! Thanks Jack and Mike! I have known and interacted with ALLCHOICE Insurance for over 5 Years. Extremely honest and trustworthy and will show you what your best option is even if it's with someone else. I wish there was a 6 Star option. AJ Brower reviewed our current insurance carrier and our needs and was able to save us over $3,000 per year! I encourage everyone to get an insurance review--it's well worth it! ★★★★★ Once we talked with Jack Wingate about our insurance needs, ALLCHOICE was an EASY choice. He was very courteous, thorough, and presented us with many options. Not only did we get excellent coverage (auto, home, and personal property), he saved us several hundred dollars a year (over $300). Jack was customer friendly before, during and after getting our business.I highly recommend ALLCHOICE for all of your insurance needs! Couldn't be happier with the service Jack and his team provides! ALLCHOICE Insurance is one of the leading Multi-Line Independent Insurance Agencies in Burlington, North Carolina, offering auto insurance, homeowners insurance, commercial insurance, health insurance, life insurance, long term care insurance, and various financial alternatives. More importantly, allchoiceinsurance.com provides a site built to give the Burlington Insurance Consumers a better understanding Burlington Insurance Coverages including, Burlington Auto Insurance, Burlington Homeowner’s Insurance, Burlington Commercial Insurance, and many more Insurance Coverages and Policies available to Burlington, North Carolina Residents.